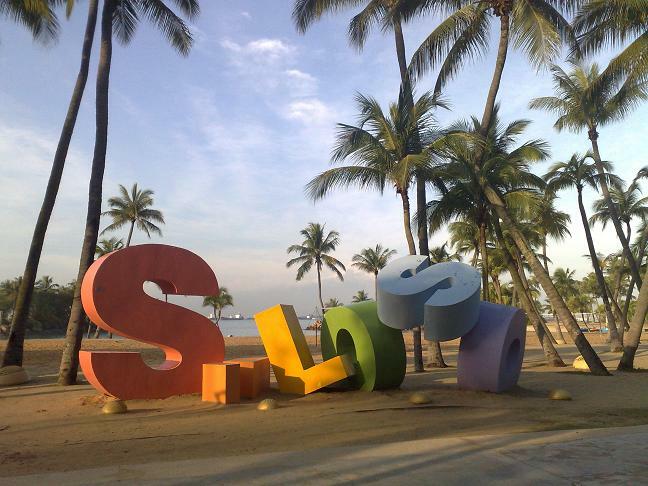 Sentosa, translated as peace and tranquillity in Malay, is a popular island resort in Singapore. Previously it was named Pulau Blakang Mati,which means something like "Island of Death from Behind". Now, for running, all depends what type of exercise you are doing. After having been used as a pirate hideway, it was heavily fortified by the British and turned into a fortress during World War II. You can still find some remains at Fort Silosa, along with many other leasure attractions such as Underwater World or the Dolphin Lagoon. One thing is sure - getting up early and running along the Sentosa beaches while they are still empty, and finish with a swim in the lagoon is a true pleasure. 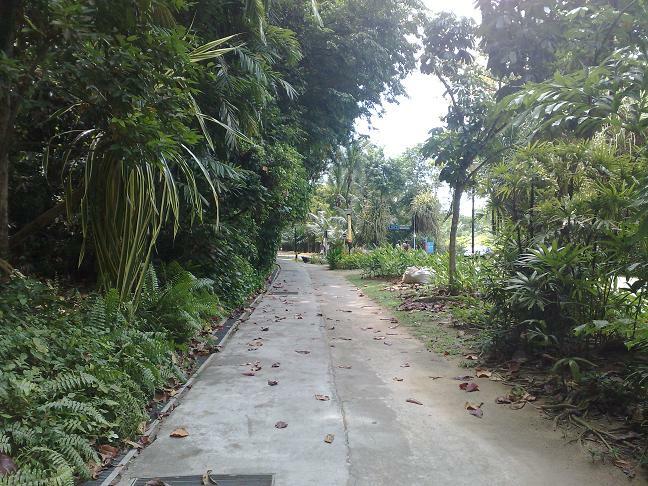 The best is to run in the morning or late evening, because especially on weekends the walkway can be quite crowded. 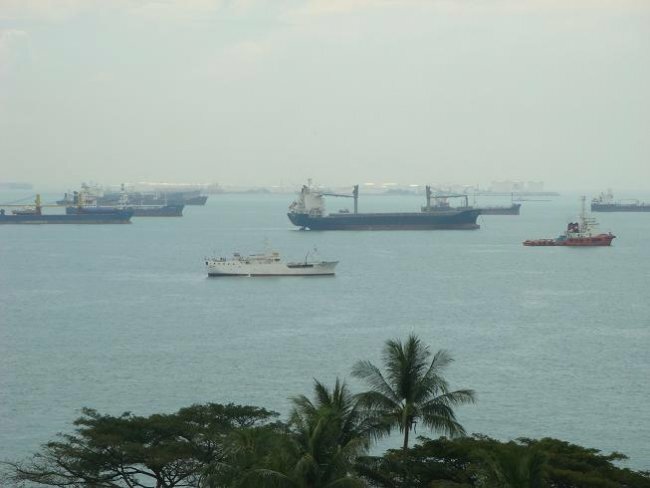 Sentosa can be reached from the Singapore mainland via a short causeway (bus) or Cable Car, which originates on Mount Faber and passes through HarbourFront en route. The island is also accessible by the SGD$140 million Sentosa Express monorail, which has four stations on Sentosa. It is convenient if you stay near the Vivocity / Harbourfront MRT area. 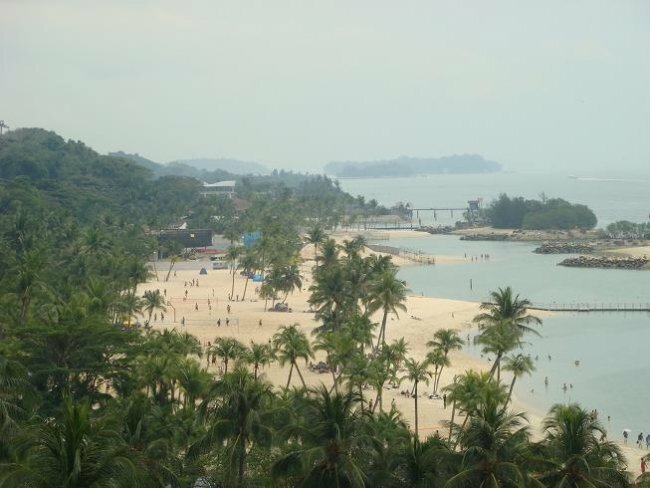 Even better of course, if you stay in Sentosa itself : Sentosa Cove or one of the five hotels on the island. By car: You can get there by car as well, but I am not sure about getting parking lots. You have to pay an entrance fee (ERP) at the gantry. 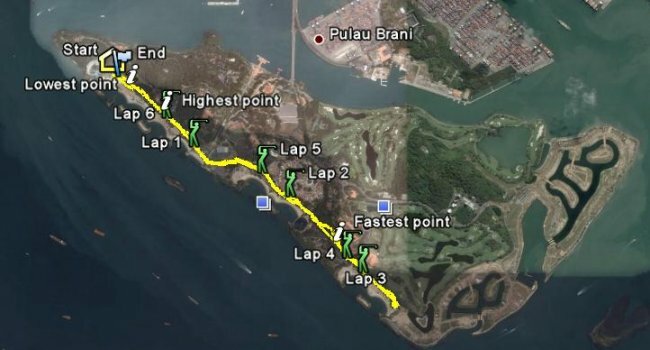 Start near Siloso beach and just follow the path until you hit the dead end at Tanjong Beach. Unfortunately the area behind is under construction and close to public, otherwise you would have been able to continue towards Sentosa Cove and doing a loop back through the jungle. Water point: There are some on the way. Good to know: At every beach you can find a shower. Google Maps: Sentosa on Google Maps. Double-click the KML to display the track in Google Earth.